Clinic Drug Store in Batesville, AR is your number one source for comprehensive pharmaceutical assistance. We offer fast and convenient prescriptions, free in-city limits delivery and we accept most major forms of insurance. We proudly provide premium medicines for a huge variety of needs and offer friendly service that we have become known for in our more than 35 years of service. You won’t find a pharmacy in Batesville, AR with more reliable service or with a more genuinely helpful staff. 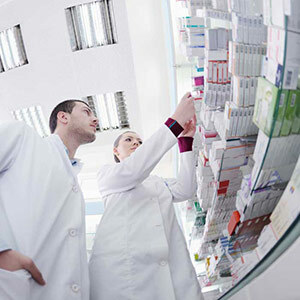 Visit us today for all your drug store needs! We are located in the White River Medical Arts building, in front of White River Medical Center. We proudly offer free delivery to customers within the city limits of Batesville. We are a fully licensed pharmacist and have been in business for over 35 years. We are the oldest existing pharmacy in Batesville. We accept all major insurances and Medicaid, plus all Medicare Part D Plans. We are proud members of the Arkansas Pharmacists Association.